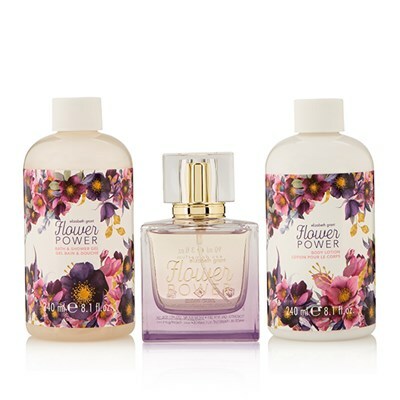 Drift to cloud nine with the beautiful Flower Power Fragrance Collection, with pampering bath and shower gel, body lotion and EDP to dust skin with subtle yet harmonious floral aromas. 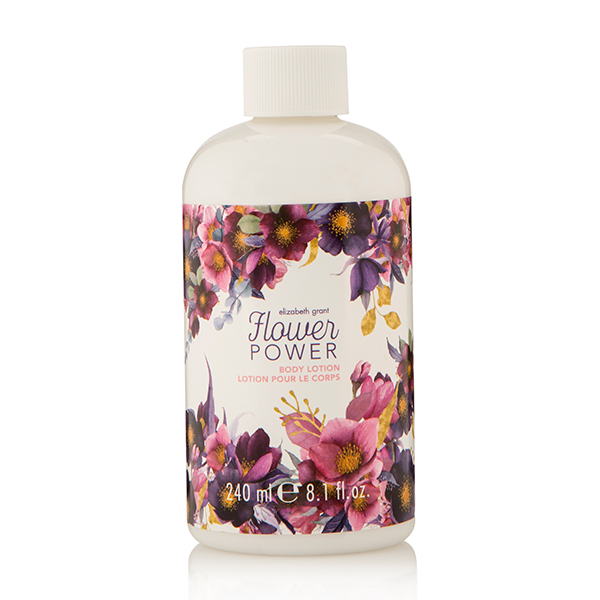 The nourishing Flower Power Bath and Shower Gel leaves skin feeling squeaky clean and beautifully moisturised, with a gorgeous floral scent that lingers on the skin. 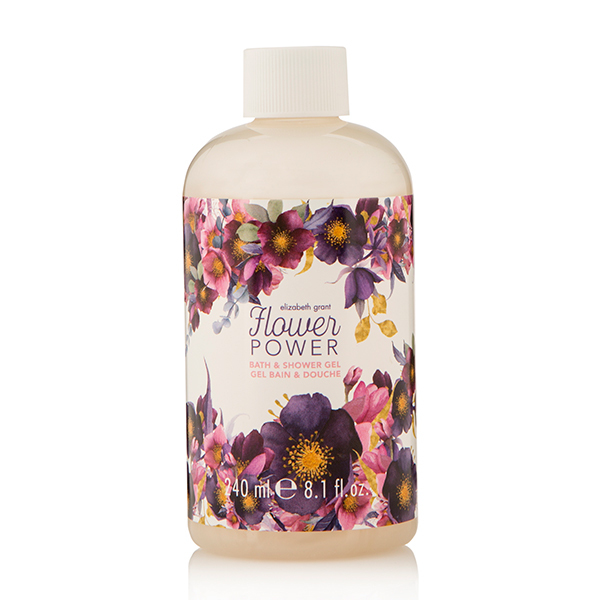 Blended with natural extracts and Elizabeth Grant’s Torricelumn, this rejuvenating gel leaves skin looking and feeling beautifully soft. 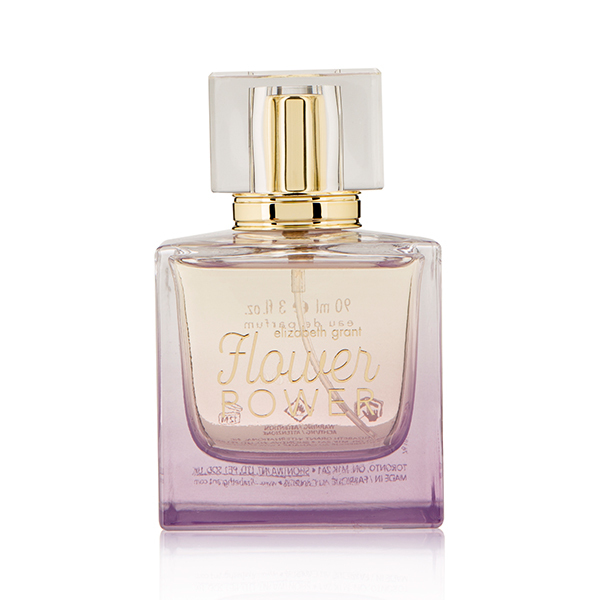 Inspired by an eternal love that never fades, Flower Power EDP is a classic, feminine scent with blissful floral tones, including Jasmine and Rose, blended with the subtle, citrus aroma of Bergamot to uplift. “I did not always have the beautiful skin that I have today, as my skin was damaged by a bomb blast during the Second World War. It was on a Sunday, and I was walking down the street when a V2 rocket exploded nearby. Shards of glass were embedded on one side of my face and my skin was scarred. “That was a difficult time for me, as I was so conscious of how I looked. I used to walk around with dark glasses, and tried to avoid people. “All that changed when I read about a substance that could help - Torricelumn. I had some made up for me, and I started to use it as part of my skincare regime. Soon the glasses came off, and I felt confident again. “At the time, I was working as a make-up artist, and one day, one of my favorite clients came in for her make-up. Her skin was a mess because the heavy make-up we used in those days clogged the pores and robbed the complexion of its ability to breath - her skin looked so tired. While I was applying her make-up, she asked me how I kept my skin so good - you could have knocked me down with a feather! My skin was described as looking good! I told her about the preparation that had been specially formulated for me, and she asked me if I had some so, of course, I gave her a sample. “10 days later she called me to ask if I could get her some more. She said her skin was feeling softer and smoother. When I saw her 6 weeks later, her skin was glowing. That was my “AHAH” moment. I realised I had a product that made a difference. I decided to develop my own skincare lines that contained my secret formulation I called Torricelumn.